With Jordan retros releasing every year, they did not forget the shoe that started it all. 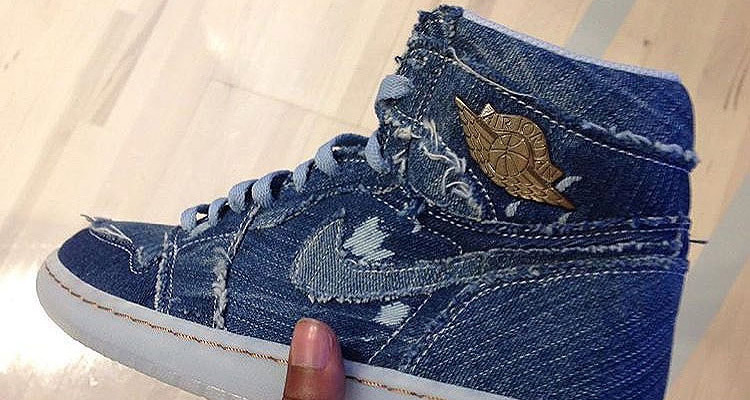 Here is a look on the Jordan 1 being treated with a denim upper. We have had like this with Nike Dunks and even with the Air Max having a denim upper but this one was designed to look a bit more worn... matter of fact, it looked like it was beaten for a more rugged look. The shoe sure looks rugged given this treatment. However, I think I like it if it were just plain denim and no loose stitching or whatever you want to call it. But hey, that's just me.